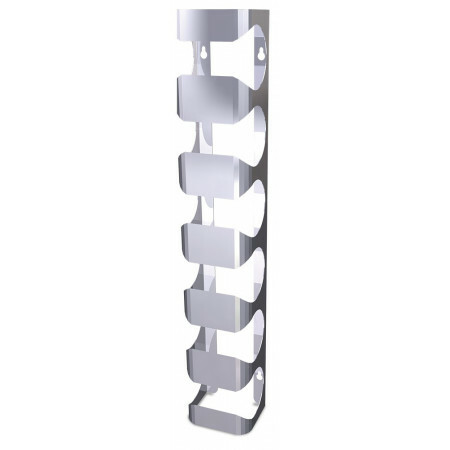 Bottle rack - Extertronic, S.L. Bottle rack There are 52 products. Bottle rack made of ash wood.Capacity for 12 bottles.Includes screws to anchor it to the wall. 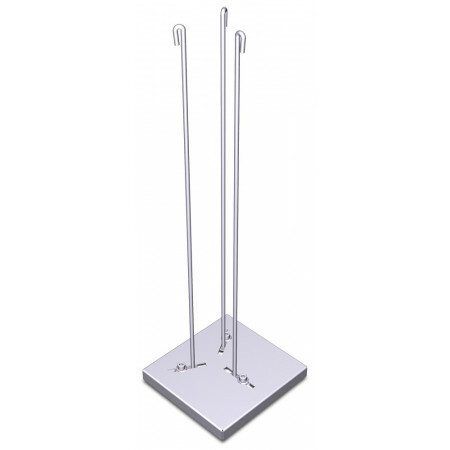 Wholly constructed of stainless steel AISI 304, they have been thought as a complement in decorating. 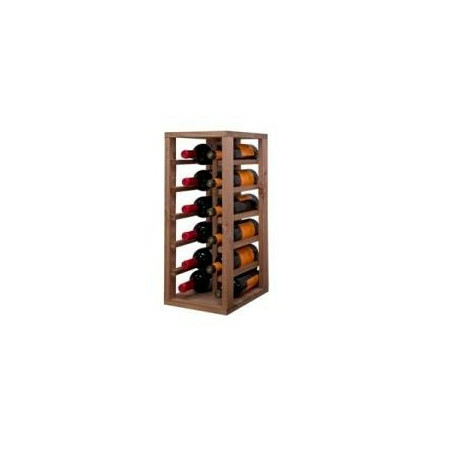 Thaks to its simple design, this outsanding line of wine racks will fit countless ambiances, whatever the style. 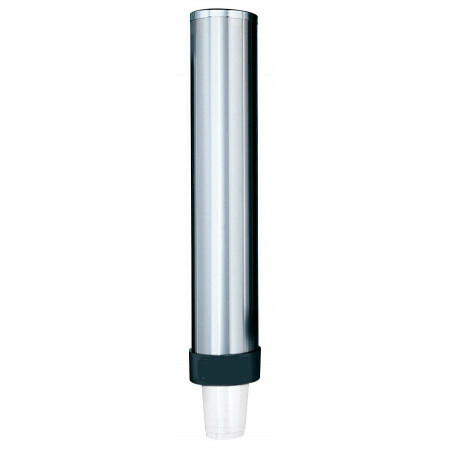 Universal cup dispenser built entirely in stainless steel, ideal for outdoor and indoor. Adjustable rods so it is valid for different measures of vessels. Diameter of glass 30-90mm. 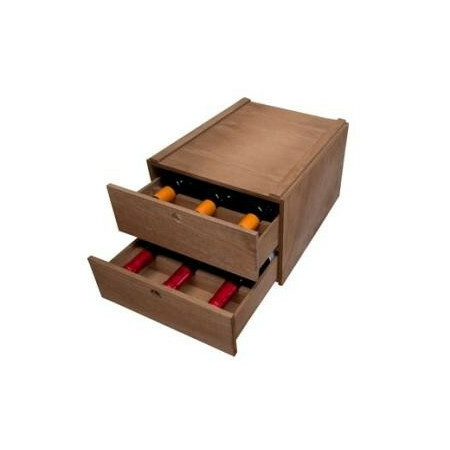 Bottle made of treated pine strips, lid and base of pine cones, tinted in light oak color.Module of small capacity, which adapts easily to small spaces and allows us to have wines sorted and classified. Capacity for 12 bottles. Measures 58 * 32 * 24 cm. 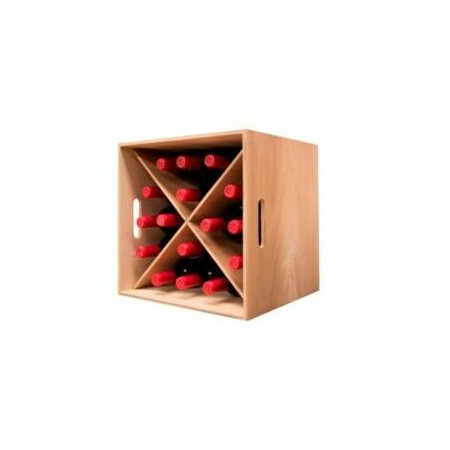 Bottle made of laminated board, dyed in light oak color, with inner vanes to classify the wines, with 2 lateral handles so that it can also fulfill other functions of transfer and storage. Capacity for 16 bottles. Measures 38 * 38 * 38 cm. Bottle rack made with 16 mm laminated board, dyed light oak. 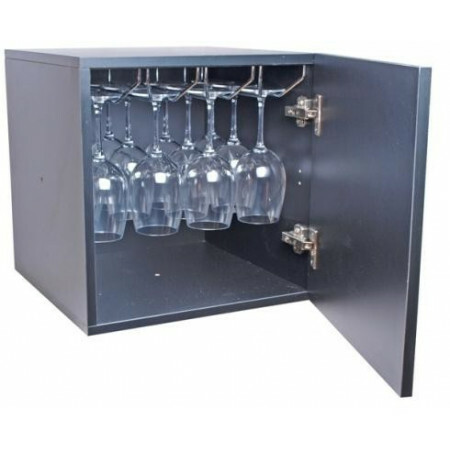 Its exclusive design with the curved top and base allows us to stack them and take better advantage of the space, the internal separations allow us to classify the wines.Capacity for 30 bottles. Measures 55 * 46 * 24 cm. Bottle rack made with treated oak strips, lid and oiled base. 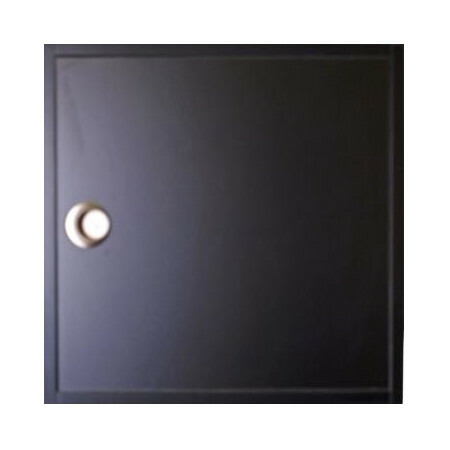 Small capacity module, which adapts easily to small spaces and allows us to have sorted and sorted wines. Capacity for 12 bottles. Measures 58 * 32 * 24 cm. Mini bottle for 16 bottles, made with melamine board type soft black color black PVC cantos, incorporates two divisions in cross to store 4 reference of 4 bottles each, its shape of cube (42x42x42 cm) allows us to place it in several postures And can be combined with mini models, is modular and can be assembled together vertically and horizontally. Modular bottle rack to expose or store 4 references with 6 bottles each, made of soft black melamine board, black PVC edge, incorporates inside 9 aluminum rods for the separation of the 4 references, its cube shape us allows to place them in various postures, as well as to combine them with the other mini models. Outside measurement 42 * 42 * 42 cm. Mini bottle for 20 bottles of wine or champagne, made with soft melamine board black color black PVC edges, incorporates horizontal shelf to store several references, its cube shape (42x42x42 cm) allows us to place it in several postures and be able to combine it With mini models, is modular and can be assembled together vertically and horizontally. Stainless steel cup dispenser. Easy handling and cleaning.Measures of the vessel: Length 81mm Diameter 56mm. 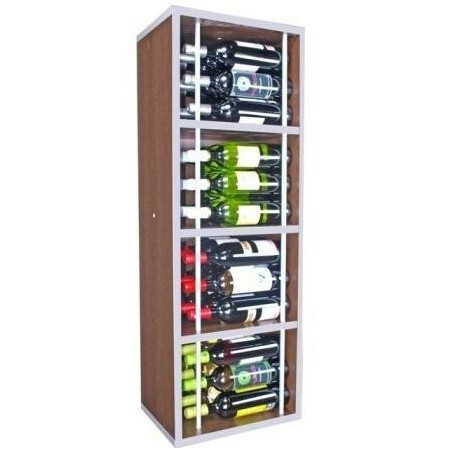 Modular bottle rack, with 3 openings for 12 bottles each. 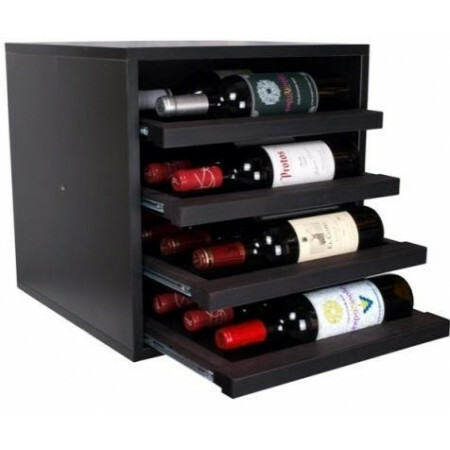 Made of board with melamine wenge color, silver pvc edges and lacquered aluminum bars to stop the falling bottles. 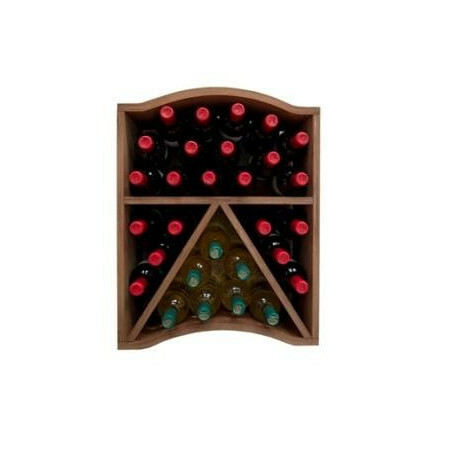 Modular shelf, with 4 holes for 9 bottles each. 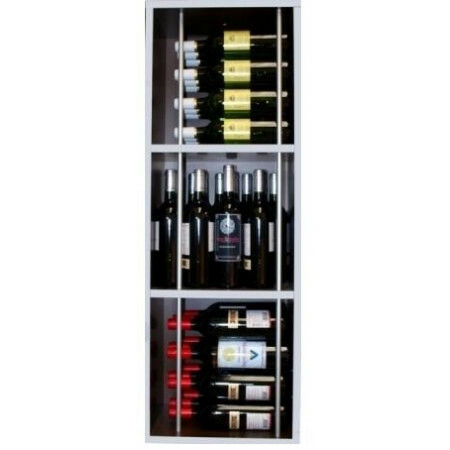 Made of board with melamine wenge color, silver pvc edges and lacquered aluminum bars to stop the falling bottles. Mini bottle with door, made with soft melamine black board, black pvc edges, supplied with a horizontal shelf, this model can be incorporated inside several accessories and shelves with different functions, can be combined with the Mini models. Mini bottle with door, made with soft black melamine board, black pvc edges, supplied with a stainless steel shelf for 16 wine glasses, also inside we can incorporate more accessories designed for this model, can be combined With mini models. Outside measure 42 * 42 * 42 cm. Mini bottle holder 4 removable shelves for 16 bottles, made of soft melamine black satin board, black PVC edges, incorporates 4 removable shelves for 4 bottles each, this system allows us to easily identify the bottles, it is combinable with the models Mini. Outside Measure 42 * 42 * 42 cm. 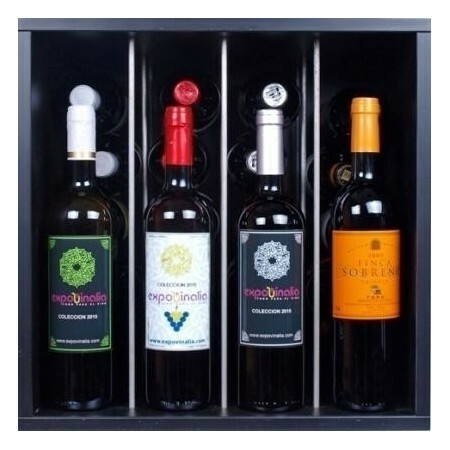 Mini bottle with door, made with soft melamine black board, black pvc edges, incorporates metal holder for 16 wine glasses and door with upward opening and gas support, can be combined with the mini.Medida Exterior 42 models * 42 * 42 cm.